Flip the calendar, we’re going into May (tomorrow!) And that means even more racing. 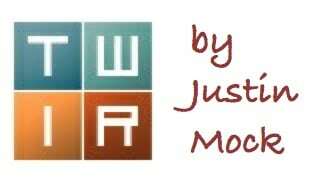 We have recaps from two Ultra-Trail World Tour races–the Ultra-Trail Mt. 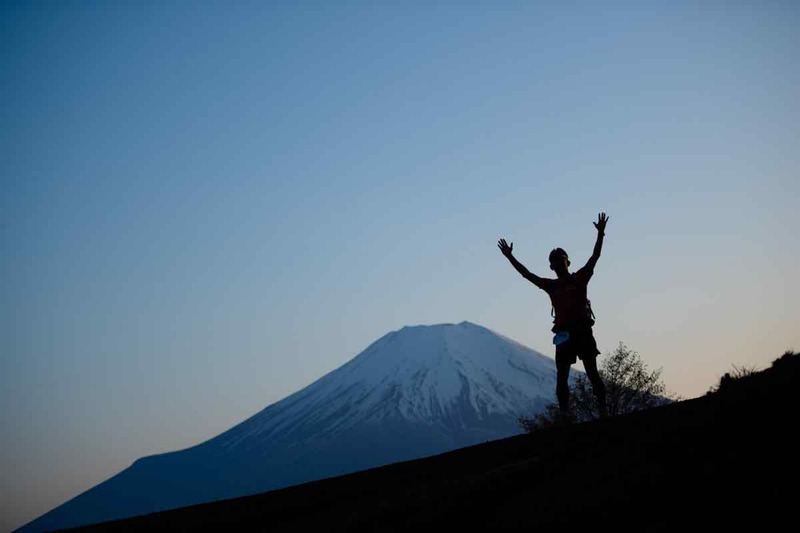 Fuji and the Madeira Island Ultra-Trail, and over a dozen others, including the year’s first Skyrunner World Series race, the Yading Skyrun. Wow, Courtney Dauwalter, she can’t miss. 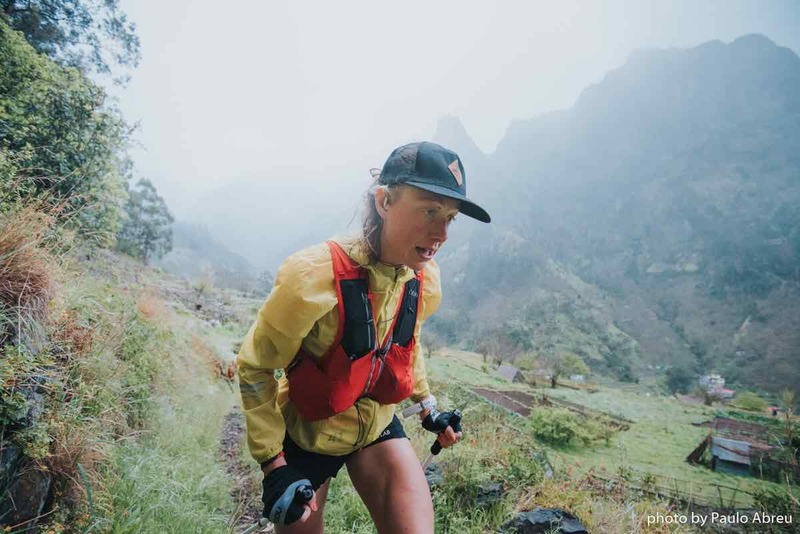 Now five ultras into a still-young 2018, Dauwalter has four wins and a second-place finish to her record, and this one was big. Ultra-Trail Mt. 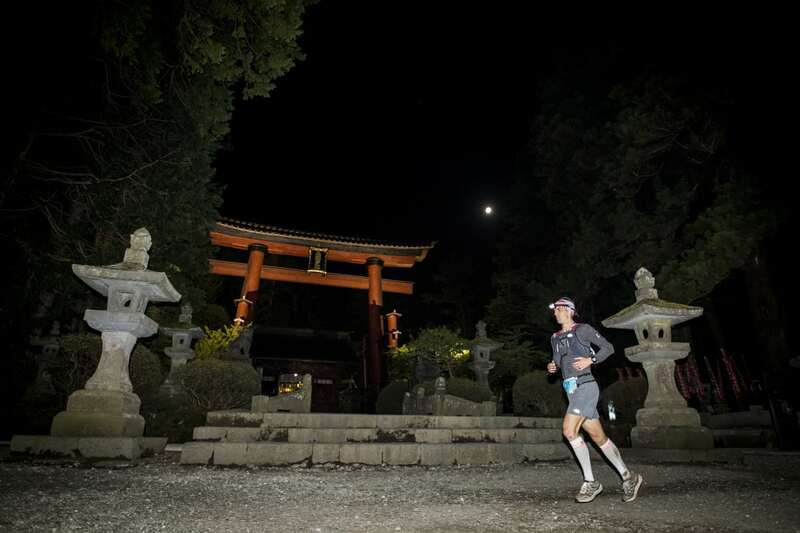 Fuji (UTMF) is an Ultra-Trail World Tour race, the year’s seventh, and the competition included the 2017 UTMB fourth-place finisher among others. Dauwalter ran unchallenged, winning by over two hours in 23:57. Dauwalter still has Western States, the Tahoe 200 Mile, and the Big Backyard Ultra all on her 2018 calendar, too. Japanese runners took each of the next 11 finish places. First up from that group was Kaori Niwa, the aforementioned 2017 UTMB fourth placer, in 26:00. She was closely followed by Kaori Asahara in 26:30. Dylan Bowman wanted this one bad, and he had to work damn hard for it. 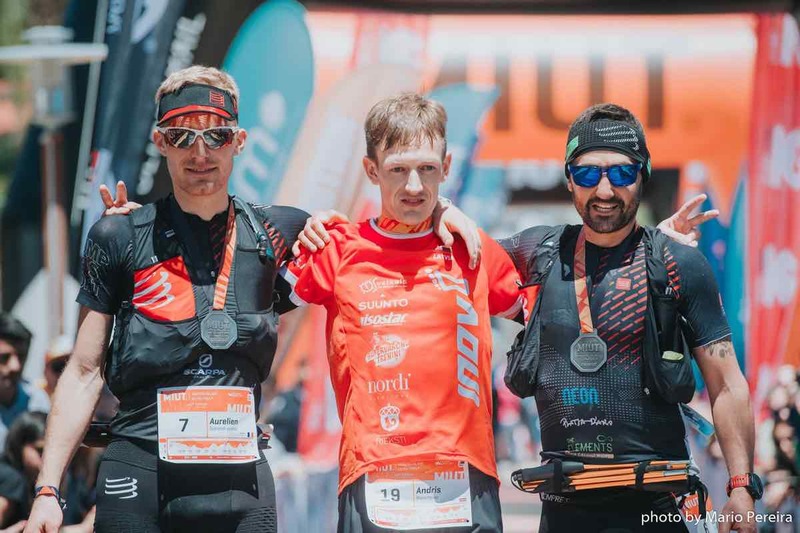 Pau Capell (Spain), this year’s Transgrancanaria champ, had broken things wide open for much of the race, but Bowman was still chasing, always chasing–for 19 hours! Finally with just 5k to go, Bowman overtook Capell and triumphed in 19:21. Capell followed in 19:24. 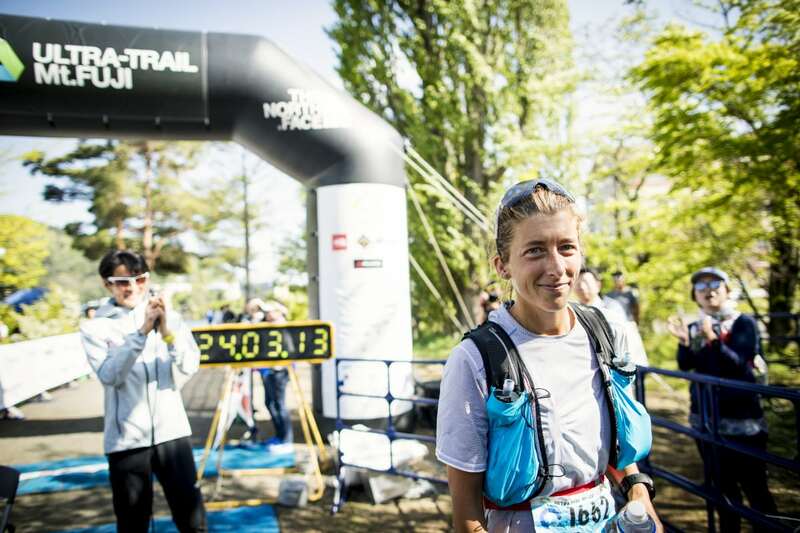 Having been limited to a short course in UTMF’s last installment–2016–the win was particularly sentimental for Bowman. Seth Swanson was third in 20:44. Seriously, did you know where Madeira was before the Madeira Island Ultra-Trail (MIUT) became internationally competitive? I didn’t, and between Madeira Island and the Canary Islands, it’s quite remarkable the level of ultra and trail racing that the islands host. I was shocked last year when Mimmi Kotka (Sweden) won TDS by a large margin, but you know what, she did it again. Kotka turned MIUT into a blowout, winning by 2.5 hours in 15:51. Second place was Audrey Bassac (France) in 18:23, and third place was Juliette Blanchet (France) in 18:38. Although registered, it does not appear that Caroline Chaverot (France) started the race. Katie Schide (USA) won the simultaneous 85k race in 10:33. Andris Ronimoiss (Latvia) gained what is surely the biggest win of his rising career. He championed the men’s race in 13:57. Ronimoiss was joined on the podium by Aurélien Dunand-Pallaz (France) and Jordi Gamito (Spain) in 14:19 and 14:22, respectively. Grinius conceded on social media afterward that he was likely over-raced following the recent Marathon des Sables stage race just a couple weeks ago. Germain Grangier dipped under the 10-hour mark in the men’s 85k, winning in 9:59. The next Ultra-Trail World Tour race is the May 11 Penyagolosa Trails 109k (68 miles) in Spain. Talk about history, the U.K.’s Three Peaks Race celebrated 64 years in 2018. The 23-mile race runs over–you guessed it–three peaks in traditional fell-running fashion. You’ve got to go back to 2015 to find someone other than Victoria Wilkinson atop the women’s leaderboard. She won for the third year in a row, running 3:22. Georgia Tindley and Beth Pascall were second and third in 3:26 and 3:28, respectively. Second in 2017 and third in 2016, Tom Owens outdueled defending champ Murray Strain to win the race’s 2018 edition. Owens finished in 2:49, three minutes better than Strain. 2015 winner Ricky Lightfoot was third in 2:53. Skyrunning season is here. The 2018 Skyrunner World Series is limited to Sky Classic and Sky Extra (Extreme/Ultra) divisions, and only the Yading Skyrun 29k is part of the Skyrunner World Series. The weekend’s events include the Yading Vertical Kilometer, the 29k, and the 46k Yading Kora Ultra. The Vertical K race, which jumps from a ridiculous 3,992 meters to 5,000 meters (13,097 feet to 16,404 feet), is in the books. Lina El Kott (Sweden) outclimbed Hillary Gerardi (USA) and sister Sanna El Kott (Sweden) to win the women’s race. Chinese runner Dou Ji, who was last year’s VK champion, won the men’s climb ahead of Bed Sunuwar (Nepal) and François D’haene (France). The Yading Skyrun was just finishing as we were creating this article, but it’s a 29k outing that tops out at 5,000 meters before descending to its 4,000-meter finish line. The U.K.’s Holly Page won in 3:32. Ruth Croft (New Zealand) crossed second in 3:33. It looks like Spain’s Sheila Avilés was third woman in 3:37. Andorra’s Oscar Casal Mir topped the men’s race in 3:06. Andy Wacker (USA) led the race early before being passed on the final descent to finish second in 3:07. Bed Sunuwar (Nepal) took third, also in 3:07 and 27 seconds behind Wacker. China’s Miao Yao won the women’s race in 5:50–recall she made an international name for herself with a dominant win of the Vibram Hong Kong 100k a few months ago. Nepal’s Mira Rai was a distant second 6:32, and third went to China’s Qiao Wen in 8:17. Chinese runners filled the men’s podium, but the results weren’t close, with prolific trail-and-road-racer Erenjia Jia the faraway champ in 4:49. Second place was You-Sheng Guan in 5:04, and third place belonged to Ji Dong in 5:13. Out-of-towner François D’haene was the next man home. He was fourth in 5:18. The next Skyrunner World Series race is the May 12 Transvulcania Ultramarathon in the Canary Islands. It can’t rival the U.K.’s Three Peaks Race, but the Zane Grey 50 Mile race has been happening for 29 years and that’s pretty impressive, too. This year’s race was held on an altered course due to wildfire damage. Lauren Coury, Susan Kramer, and Nadine Haluszczak earned spots on the women’s podium thanks to their 9:32, 10:05, and 10:25 finishes. We can’t call it a course record, but Charlie Ware did score a new event best in the men’s race. Out front and victorious in 7:30, Ware won for the second time in the last three years. James Bonnett was second in 8:20, and Sylvain Camus (France) was third in 8:34. Officially The North Face Endurance Challenge – Washington, DC race is held across the border in Sterling, Virginia. The popular weekend-long event again held its usual seven different race classes. In the marquee 50-mile race, Grayson Vincent was a 20-plus minute winner in 8:21. Ayshalynn Perez won the 50k in 4:46, and in the marathon, it was Gaither Smith out front with a first-place 4:07. 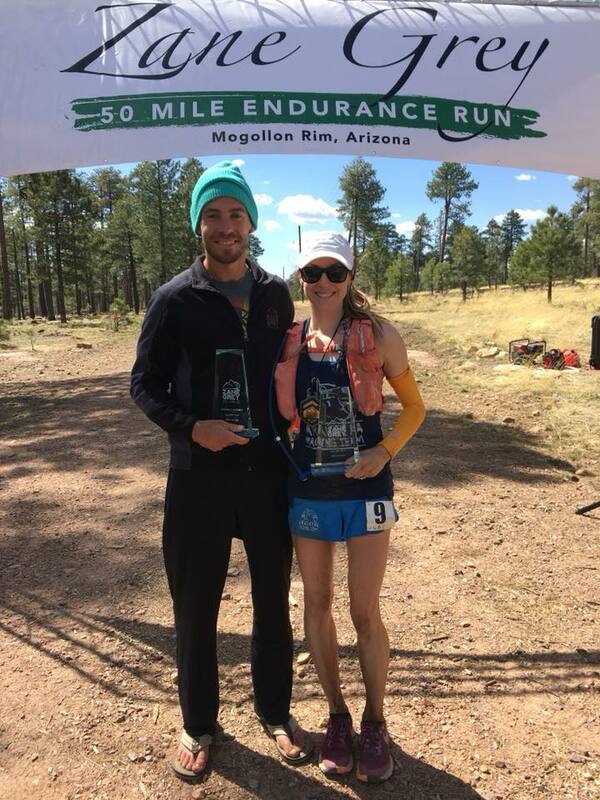 Michael Bailey and Devon Olson were the day’s lone sub-seven-hour finishers in the 50-mile race. The two frontrunners finished in 6:16 and 6:32, respectively. Charlie Epperson championed the 50k in 4:03, and Kyle Serreyn was victorious in the marathon in 3:16. The next The North Face Endurance Challenge event is next weekend. The upstate New York races will happen on May 5 and 6. In Colorado Springs, Cheyenne Mountain Trail Race 50k runners made two laps of the figure-eight course inside of Cheyenne Mountain State Park. The race was won by Amanda Ax and Bobby Peavey with 5:29 and 4:01 winning times. Sarah Pizzo and Gefrey Terer, the latter a Colorado Springs-based Kenyan runner, won the accompanying 25k in 1:58 and 1:48. Full results. Both Mindy Coolman and David Box repeated as winners of the Kansas Flatrock 101k, and both did it faster than last year too. Coolman’s 13:31 was over three hours better than in 2017, and Box’s 11:02 was a new course record. Full results. This was it for the point-to-point Lost Boys 50 Mile race in southern California. A combination of low entrant numbers and increasing permit fees are putting an end to the race that traces its beginnings to 1991. Gemma Bachmann and Joel Meredith won the ultimate race in 11:34 and 8:31. Full results (when available). Wait a minute, didn’t we just report on a Brian Rusiecki race result last weekend? I’ve come to expect nothing less from Rusiecki. It was his third win as many weeks, and this time he was joined on the winner’s podium by wife Amy Rusiecki. Amy ran 5:46 to win the Virginia Promise Land 50k and Brian won in 4:38. Full results. 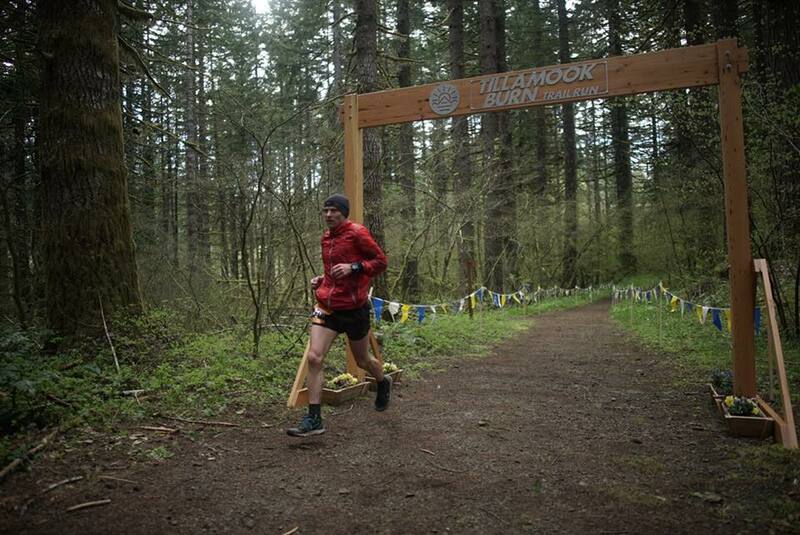 Marilee Woyth and Rob Russell won the Tillamook Burn Trail Run 50k in Oregon in 5:07 and 4:18, respectively. Expectant rains held off and conditions were instead ideal for fast running. Full results. The Canyons 100k starts and finishes in Foresthill, California and takes place on a lot of the Western States Trail. Corinne Malcolm won the women’s race in 11:44. That ranks fourth all time, trailing only finishes by Magda Boulet and Cat Bradley. Men’s winner Lon Freeman has been here every year since 2015. Following fifth-, third-, and fourth-place finishes, Freeman won this year in 10:08. Just like women’s winner Malcolm, Freeman’s mark also ranks fourth-best ever. Marta Darby and Kris Brown won the 50k race in 7:22 and 4:22. Full results. Scotland’s Highland Fling runs 53 miles through the Loch Lomond and Trossachs National Parks. Rachel Normand and Kyle Greig were victorious in 8:22 and 7:06. Full results. Jorge Maravilla and Michael Wardian were second and third at California’s Big Sur International Marathon in 2:31 and 2:37, and Sarah Bard and Ian Sharman were third and first at the all-downhill Mt. Charleston Marathon in Nevada in 2:50 and 2:24. Full results (Big Sur) and full results (Mt. Charleston). This weekend, what other race results can you add in the comments? Next weekend, what races are you looking to? Does anyone know why Cat Bradley dropped out of Canyons early in? David Roche’s twitter mentioned back pain early in the race. I don’t have any other details though. Oh too bad, such a fan and was looking forward to seeing her race. Sending positive vibes to get her to the start of WS100 healthy. Thanks, Will! We updated the article. Lost Boys 2018 was awesome! Thanks to Cliffs and Meadows for reviving this run the past few years; maybe in the future someone will pick it up again? Its just too cool of a course to see it go dormant…. Agree with Trevor. Epic event! 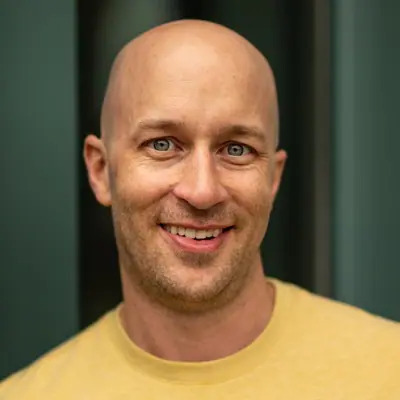 Consistent as ever, an out of shape/ recovering from knee surgery John Geesler still managed to run over 400 miles in the 6 day. The 10 Day was the race that captured everyone’s attention. [The mens CR is held by legendary Rimas Jakelaitas where he famously split 600 miles in 6 days enroute; and the womens CR of 727 miles is held by 3100 record holder Kaneenika Janakova.] This was a race where former 3100 mile winner Yuri Trostenyuk was a favorite merely to make the podium, with 14 time 3100 finisher and record holder (40d 9hrs) Ashprihanal Aalto of Finland (833 10 day best) and last year’s victor Budjargal Byambaa of Mongolia both with eyes on the win. Aalto took an early lead with 304 miles in the first 72 hours to Bud’s 279. Aalto then succumbed to illness, falling to a mortal 55 miles on day 4, and then it became a boxing match between those two until the end with extremes in weather aside from snow. The men’s podium featured an incredible three men over 743 miles. Also I hope DBo’s Fuji win is remembered when it comes time to vote for UROY Performance of the Year! That is awesome. It’s my male POY front runner at this point followed closely by Walmsley’s Lake Sonoma. Of course, there’s still a lot of 2018 left! Didn’t Chaverot announce some months ago she was retiring from running due to health issues? Later this coming week will see the EMU 6 Day race in Budapest, Hungary. It is the de facto 6 day world championship. Last year, nearly saw 7 runners over 500 miles (800 km) and 20 over 400 miles. Live tracking will be available. More info on the event website and facebook page. Is the next UTWT race in Penyagolosa the same as the Trail World Championship race in the same location on May 12, or do they have separate champs and UTWT races? The 85k Trail World Championship race is on the same day as Penyagolosa’s two existing races, the 60k MIM and 108k CSP, which is a UTWT race this year, so there are three races in total. It appears that much of the TWC and CSP courses are identical, with the primary difference being the CSP course heading further out to the northeast after about 50k before rejoining the TWC course around 96k/74k on the respective courses. (There may be two extra kilometers on the CSP course somewhere in the first 50k.) You can read more on the Penyagolosa website. Next weekend is Miwok 100k :) Keep an eye out for Megan Arauzo! Justin, have you read William Finnegan’s “Barbarian Days” autobiography? You’d totally dig it! I’m limited to audio books these days! As soon as I finish “North” this week, I’ll move on to your suggestion. Thanks!